I have been bunkered down in the digital studio in front of the computer scanning the 1980s archival medium format negatives for The Bowden Archives and Other Marginalia book. With most of the scanning for the first two sections now done, I have started to scanning negatives for the third section. This one is based around my escaping from the confines of Bowden after I’d purchased a VW Kombi. Some of these are photos of Adelaide’s suburban beaches (Glenelg, Larg’s Bay Semaphore and North Haven) during the heat of the summer, others are from day trips through the Adelaide Hills and Mt Lofty Ranges; some are from trips to Melbourne and there is one major road trip along the River Murray to the eastern seaboard. I wasn’t really aware of many of these photos that I’d taken. The negatives were developed, contact sheets made, filed away in a filing cabinet, then forgotten until now. The Weltraum exhibition at Magpie Springs for the 2016 Shimmer Photographic Biennale was finally hung this morning. All those who are participating int he exhibition chipped in. A big thanks to Jeff Moorfoot, whose expertise gained from running the Ballarat International Foto Biennale as creative director (he’s now the editor of Beta Developments in Photography), helped me put the finishing touches to the exhibition. Seeing some of the silo images hung at Weltraum allowed to me to assess whether to continue to photograph the silos in black and white or colour in the future. 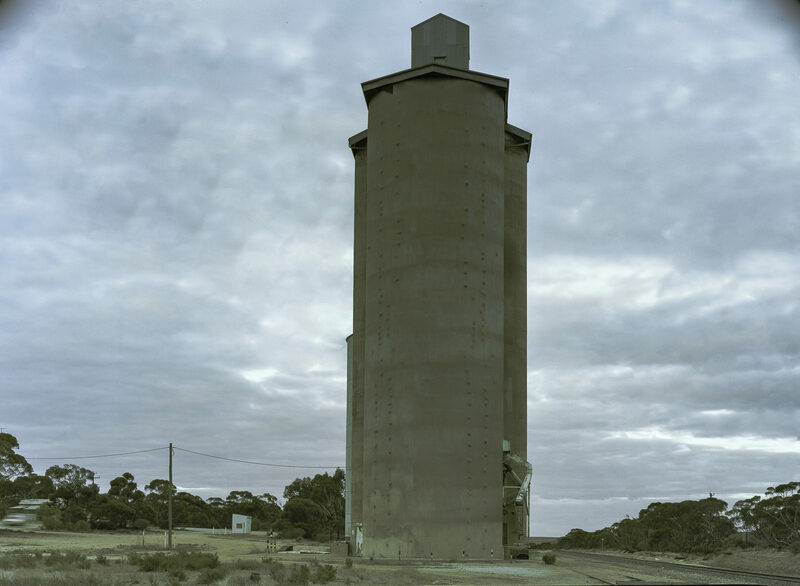 This is an early colour image of a silo at Linga that I made with the 5×7 Cambo monorail. The Mallee project is now up and running. It kinda came together, spontaneously. How about that? Our initial meeting earlier this week at Henley Beach to kickstart the Mallee project was able to take place because Eric Algra had flown over to Adelaide from Melbourne to work for a week on his new Elizabeth project. It was a fruitful meeting that covered a lot of ground. All of us share a fascination with the Mallee, its history, and its social and agricultural landscape. This is a dry, hot region featuring sand dunes, salt bushes, shrubs and strange dwarf gum tree, Eucalyptus Dumosa, usually called Mallee. What’s more we are are comfortable in each other’s company. 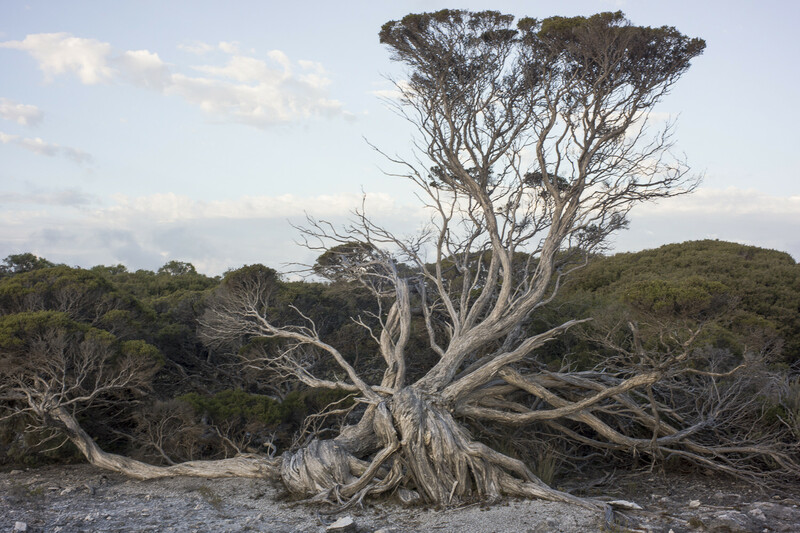 We–Eric Algra, Gilbert Roe and myself — reckoned that we would have enough work from our previous road trips to the Mallee to have a modest group exhibition this year. This initial exhibition, which kicks the public side of the project off, will be in October at Atkins Photo Lab’s new gallery space in Adelaide. This is at the same time as APSCON16 is happening in Adelaide— that is, the annual conference of the Australian Photographic Society, which is the national body of the very active, state based camera clubs. This is the first time that I will have worked on a project with a group of photographers, and it will be interesting to see how the project develops over the next few years, as we continue to build up a body of work from our future road trips and exhibit in various towns and cities. Maybe we could exhibit online or bring some writers or poets in? It’s envisaged as a multidimensional project. Another 8×10 road trip will be taking place next week. 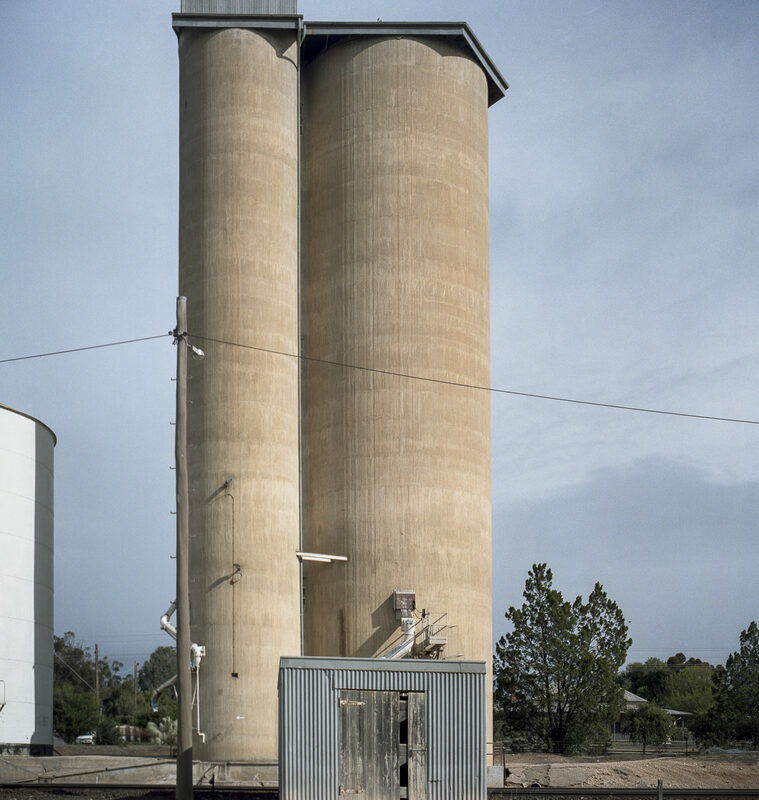 This time it is a road trip through the Mallee in South Australia and Victoria in order to photograph the silos along the Mallee Highway. I will be camping at Ouyen in Victoria with Gilbert Roe. Let’s hop the weather has cooled down by then. 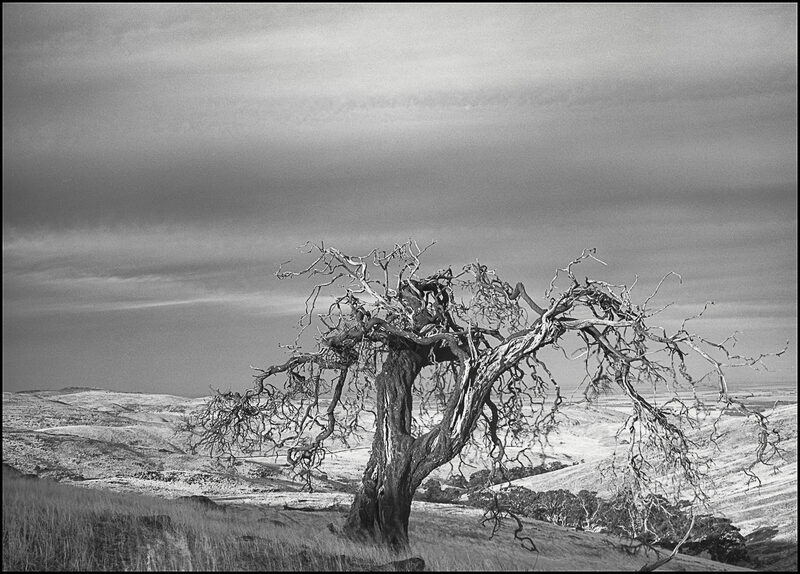 I scoped this last year during the spring when I was on my Canberra trip with both the digital Sony NEX-7 and the old Rolleiflex SL66. I will be using an 8×10 camera ( for black and white) and a 5×7 camera ( for colour). The project works in the tradition of the aesthetic as a realm of experience being separate from the instrumental thinking of both daily life and the market’s economic reason.Though the approach is historical in orientation it will be quite different to the road trips of David Marks between 2001-6 where he used Diana and Polaroid cameras. I am planning a large-format road trip to the Coorong where I work the 8×10 Cambo monorail, black and white film, and one 300mm normal lens. I will also have a 5×4 field camera with me to use with colour film and for when I am walking through the wetlands. The photo trip is to build material for the second part of the Edgelands project. I will attend a workshop at Meningie run by the Centre for Culture, Land and Sea on the ecological state of the River Murray and Coorong on Sunday 3rd April. I will then drive to, and base myself at Salt Greek for 3 days. 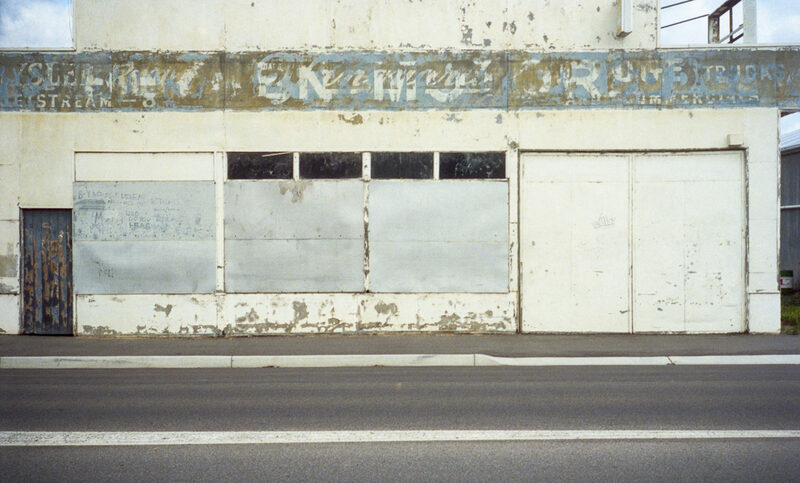 The work from this roadtrip will be part of a group exhibition at the South Coast Regional Arts Centre (in the historic Old Goolwa Police Station building). The exhibition is a part of the Alexandrina Council’s 2016 ‘Just Add Water’ program.